Deciding to undergo a home renovation is a scary thing, but hiring Bath Emporium Castle Kitchens was the best decision my family has made. We dealt specifically with Jodi, Prince and Jasmeet. From the beginning they guided us through the entire process and advised on great design ideas. Furthermore, the products and tradesmen were of very high quality and exceeded our expectations. 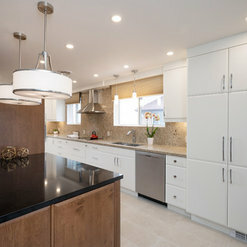 Even during the reno, the team often came in to ensure the project was running smoothly. Along with great quality, they offered amazing design ideas we didn't get anywhere else. For our kitchen remodel we removed two supporting walls that previously made the kitchen seem small. 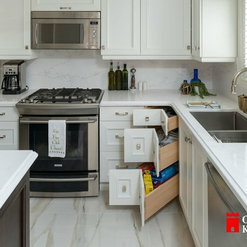 This allowed us to add more cabinetry for storage and provide an open floor plan to our house. My mom was very happy with the final outcome and now has her dream kitchen. 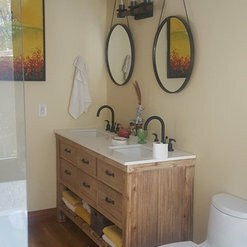 Along with the kitchen, we remodeled all the bathrooms, laundry, closets, flooring, and stairs. The company showroom was also a great help in being able to see the products and functionality. 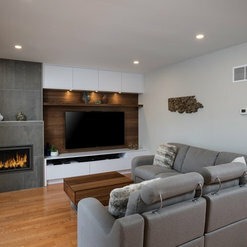 We decided to renovate before my sisters wedding, and our post reno home was a great space for all of our functions. All of our family and friends were blown away! We even ended up inviting the team to the wedding festivities! 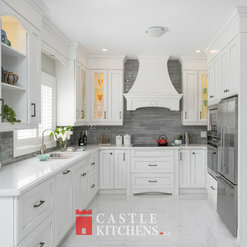 The final outcome of the Reno far exceeded my expectations and we would not hesitate to recommend Bathemp Castle Kitchens. Great service and selection. Overall positive experience shopping for the bathroom. Highly recommend bath emporium and would definitely return again. 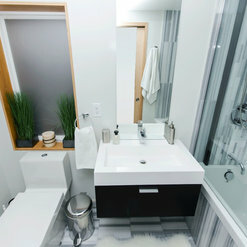 Yosh & Gagan helped design all our bathrooms and the living room. The process was seamless and we are pleased with the products as well as the design. They were helpful in recommending contractors. 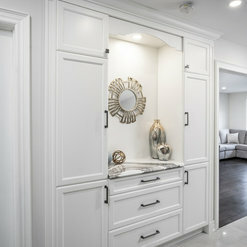 The total project was completed on time and professionally. It was a pleasure to do business with Bath Emporium and highly recommend them. I would absolutely not recommend this place. 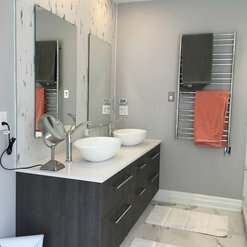 We ordered bathroom sink and bathtub faucets, as well as a handheld shower faucet and the thermostatic valve and trim from Bath Emporium on Feb 24th. We ordered them in a custom finish, brushed gold. We were told the items would take 4-6 weeks to arrive. Four weeks after placing the order, I called to enquire as to the expected timing. I was told it would take more like 6-8 weeks. One week later I called back, and learned that our order had been erroneously cancelled or put on hold, and so would be further delayed. Mid-May I was told to expect the items by the end of the Month. June 1st I was told to expect the items by June 15th. I called today and was told that the faucets have now arrived, but the trim has not, and they don't know when the trim will arrive. The service at Bath Emporium is disastrous. If you would like to pay full price for custom items, and wait for 4 months to receive them, then shop here. Otherwise, I would recommend pursuing your faucets and fixtures elsewhere. From the moment I stepped into the showroom, I knew this was a place with modern, high quality products. My sales person, Teresa, was patient, knowledgeable and helpful throughout the entire process. She even provided my 8 year old with cookies and milk! Very fair pricing and they met all timelines. I currently live in a different city than the location of my project and I kept adding to my order and interfacing with Teresa remotely. Very efficient and customer oriented. Teresa even helped with design ideas. I can't wait to see the finished product! Absolutely fabulous experience. 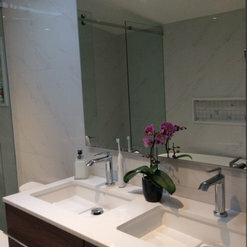 The customer service was excellent - Isha made finding the right selections for my bathroom so easy. 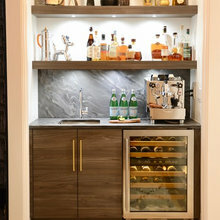 She is so knowledgeable about all the products and has a great eye for design. 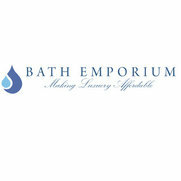 I would recommend Bath Emporium to anyone searching for quality products, great service and competitive pricing! Yolanda did a fabulous job at helping us find the right product. She is very professional and knowledgeable on what we needed. We came in seeking Toto toilets, she was able to give us quotes before coming into the stores. The prices were excellent for the brand. We ended up looking at a tub as well. She was able to point us in the right direction. Bathroom Emporium had a great selection of mid to luxury products. Prices were good for the level of quality. I was impressed and will certainly use in the future again. We walked through castle kitchens. 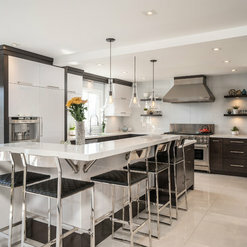 We did not buy because we already committed to another kitchen designer, however Top of the line designs and great quality. Thank you Yolanda! The customer service in this store is good overall but I'm very disappointed with my vanity, definitely not worth it. I know better now for future projects. Our experience at Bath Emporium was great. We were looking for tubs, faucets, and shower kits all for two bathrooms that we are renovating. We had Yolanda assist us and she was wonderful. She was knowledgeable, very helpful and patient as we picked out our products. We found that Bath Emporium was reasonably priced and has a great selection and good quality. We are happy with our purchases and the service provided. 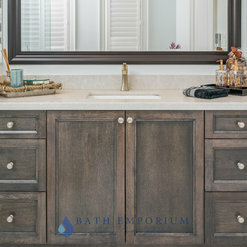 We recommend Bath Emporium and will use them again in the future. 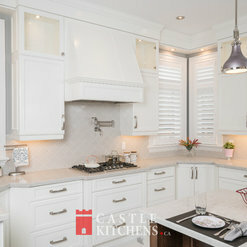 Castle Kitchens is a family owned business that takes pride in their work. They are attentive to the clients needs, budgets and timelines without ever compromising quality. A happy client is a happy designer! Great showroom, great service and great prices. Prince our sales support was a fantastic help picking all our fixtures and designing our bathroom. We couldn't be more satisfied. Bath Emporium was close to home, had a nice showroom, great selection & competitive pricing. Our sales agent was Jasmeet. She was excellent to work with, she knew her stuff, & made recommendations that made sense. Their delivery dates were accurately adhered to. 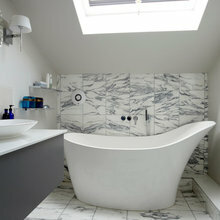 This is a competetive market, but Bath Emporium is high on the list.